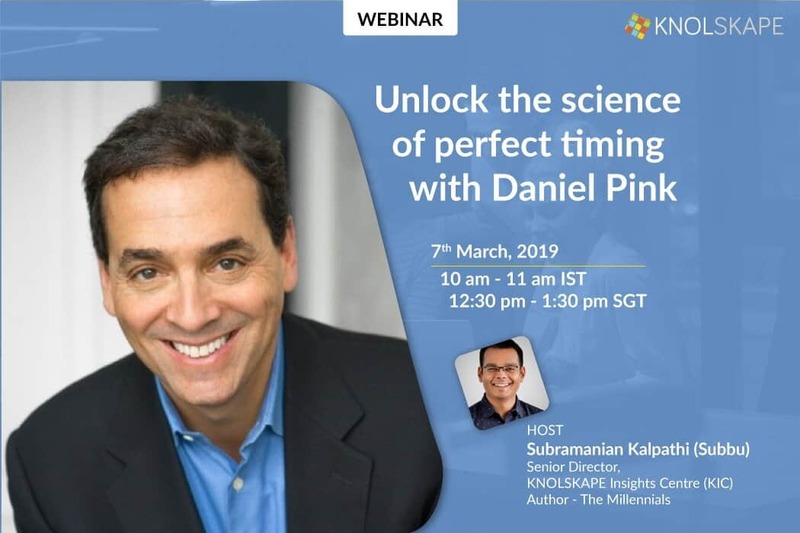 We invite you to participate in this exclusive webinaron Unlocking the science of perfect timing with Daniel Pink. He is the #1 international bestselling author of When:The Scientific Secrets of Perfect Timing, Drive & To Sell is Human. This talk will highlight key principles from Daniel Pink’s new book – When: The Scientific Secrets of Perfect Timing. Based on an emerging body of multifaceted, multidisciplinary research, Daniel will offer fresh insights into the human condition and useful guidance on working smarter and living better. Through this talk, Daniel will explore the science behind beginnings, midpoints and endings, that can, in turn, make you, your team and your organization better at accomplishing meaningful goals. Daniel Pink – #1 International bestselling author of When: The Scientific Secrets of Perfect Timing, Drive & To Sell is Human. 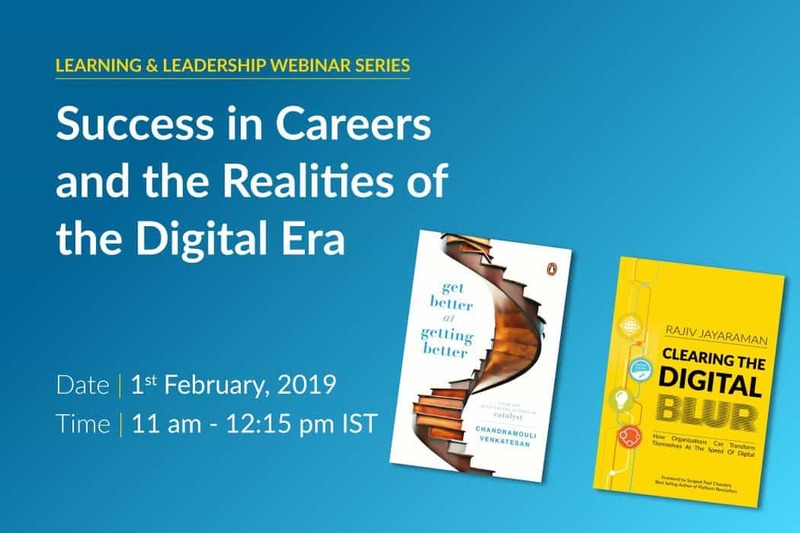 In this exclusive webinar on succeeding at work and in life from Chandramouli Venkatesan’s books Catalyst and Get Better at Getting Better. 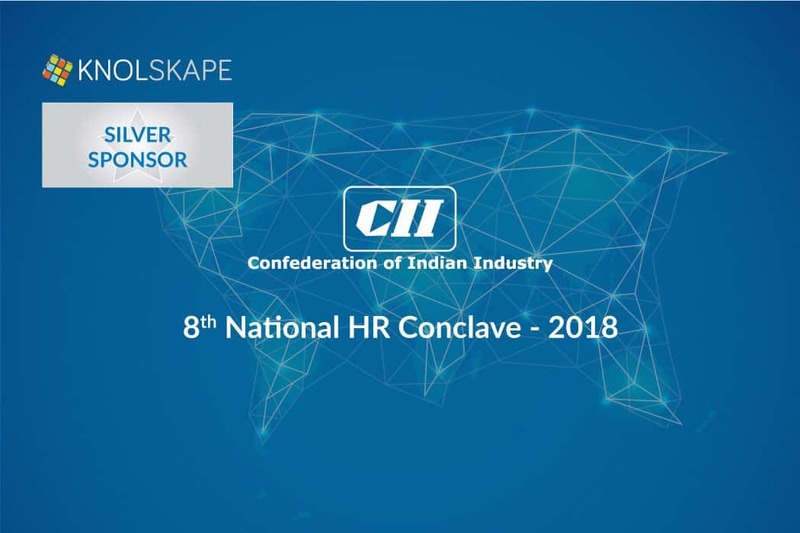 Founder & CEO of KNOLSKAPE Rajiv Jayaraman will highlight implications of the digital age on careers today, with lessons from his book Clearing the Digital BLUR. How success is not about how good you are, but it is about how good a model you have to continuously improve how good you are. The “Get Better model” as Chandramouli calls it. How to build this ‘Get better model’ and improve rapidly? Most people succeed in the 1st half of their careers, very few succeed in the 2nd half of their careers. How to prepare for success in the 2nd half? How to leverage life as a catalyst for success at work? What does it take to have meaningful careers in the digital era? What new competencies should you as a professional focus on? Chandramouli Venkatesan – CEO (Special Projects) at Pidilite & best-selling author – Catalyst, Get Better At Getting Better. 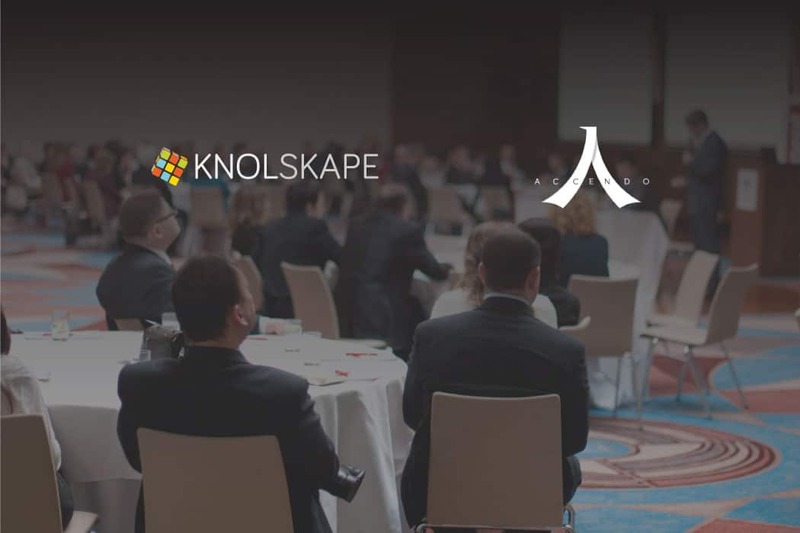 Rajiv Jayaraman – Founder and CEO at KNOLSKAPE. Author of the upcoming book Clearing the Digital BLUR. According to research by the cFOW, when it comes to preparing people for jobs in the future of work, both corporates and higher educational institutes are slow to revamp their education and training models or collaborate with each other. 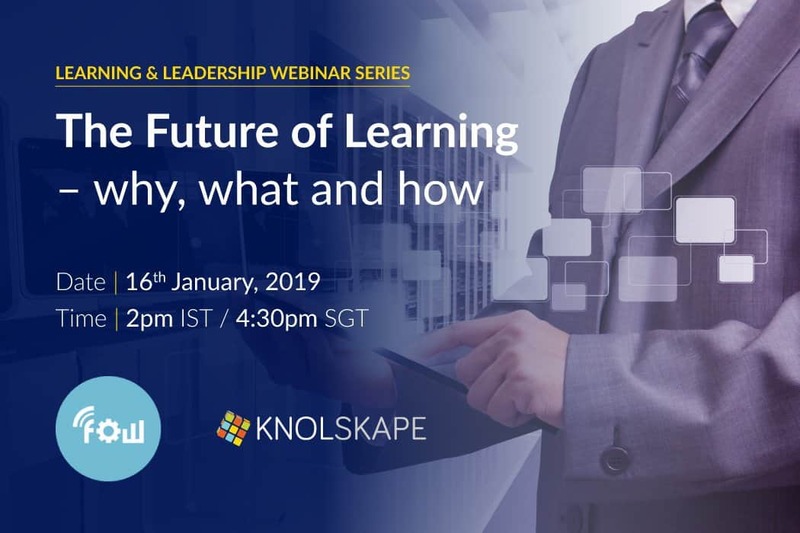 Research by the KNOLSKAPE Insights Centre shows that learning mode is on the cusp of disruption, and how we learn tomorrow will be markedly different from how we do so today. 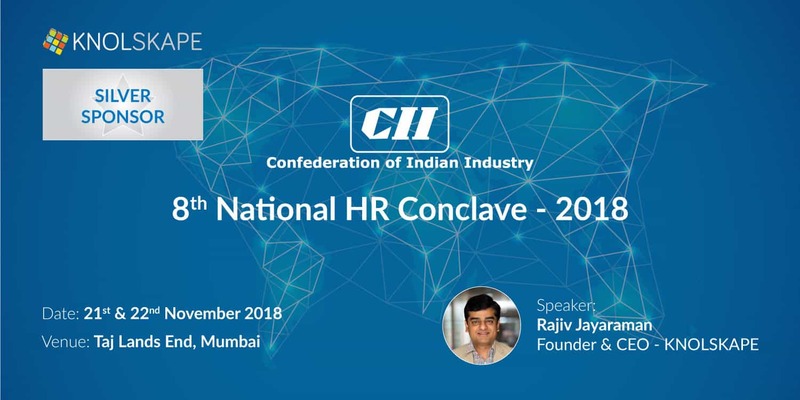 Speakers: Manish Bahl, Head – APAC, Centre for the Future of Work, Cognizant; Rajiv Jayaraman, Founder and CEO, KNOLSKAPE. We live in a golden era of learning. 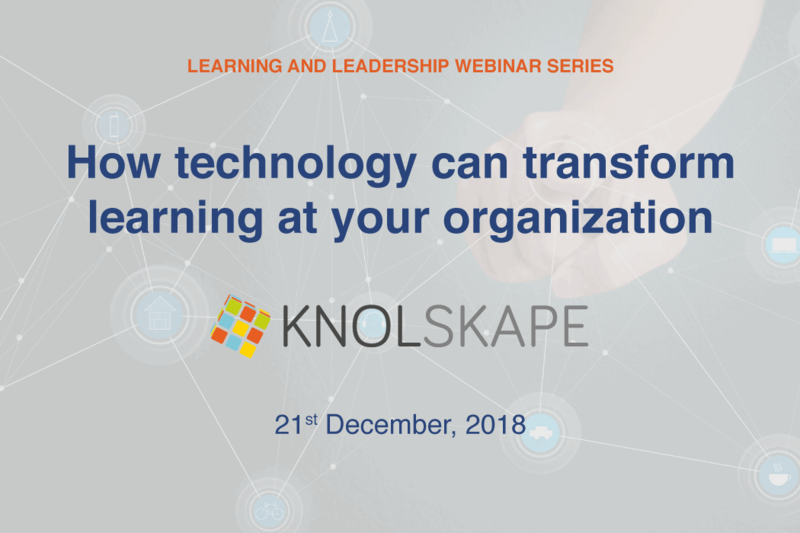 With rapid technological advancements, L&D professionals today have access to a plethora of choices to enable learning in their firms. However, challenges such as poor UI/UX features, low user engagement, dismal adoption and completion rates, etc remain. What kind of learning design can help overcome some of these challenges? 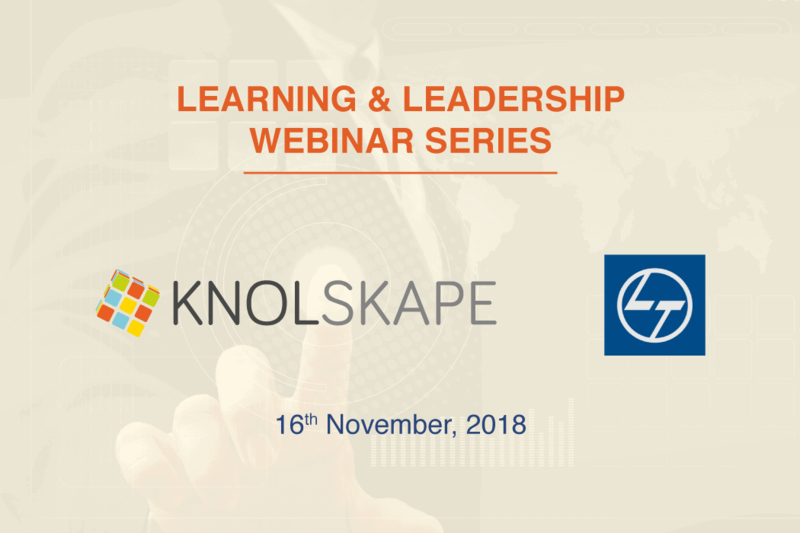 Vijay Kalangi and Subramanian Kalpathi help uncover some of the best practices when it comes to learning technology design, and also offer tips on what learning professionals can do to successfully adopt cutting-edge technology to enable learning for their organization. The world of talent and workplace learning is constantly evolving. With the fourth industrial revolution gaining pace, modern learners of today have significantly different learning preferences. Organizations recognize the need to move with these times and to up-skill their workforce in line with the latest emerging trends in workplace learning. What role do leaders and managers play in the modern workplace? How do we effectively assess for learning gaps? How can L&D create effective learning for our modern learners? 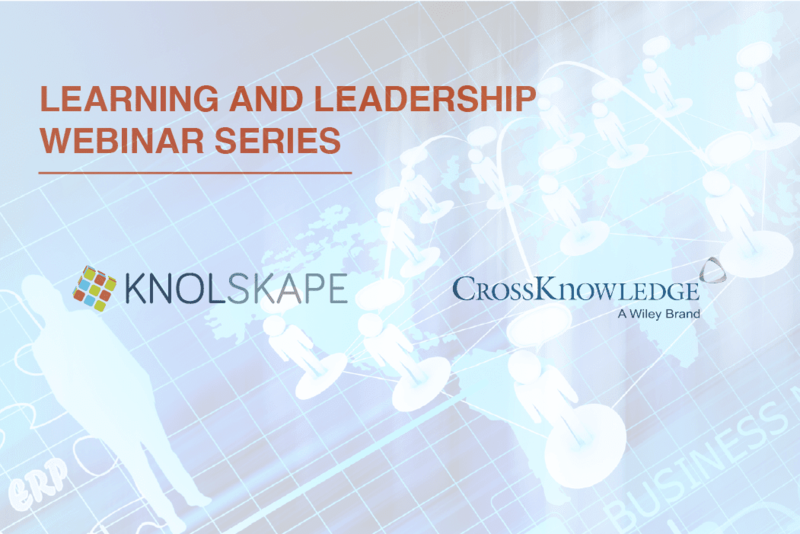 Best Practices of harnessing technologies to meet L&D objective? 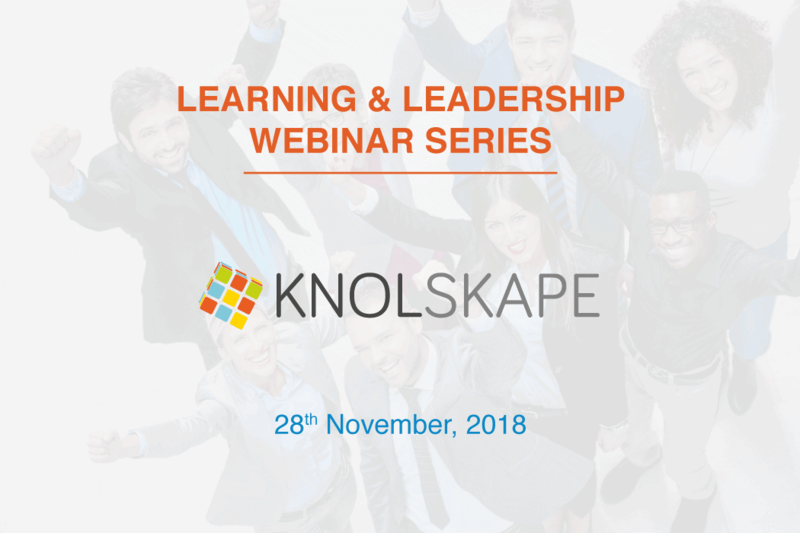 How award-winning company, KNOLSKAPE and ACCENDO help organization address the modern learners? 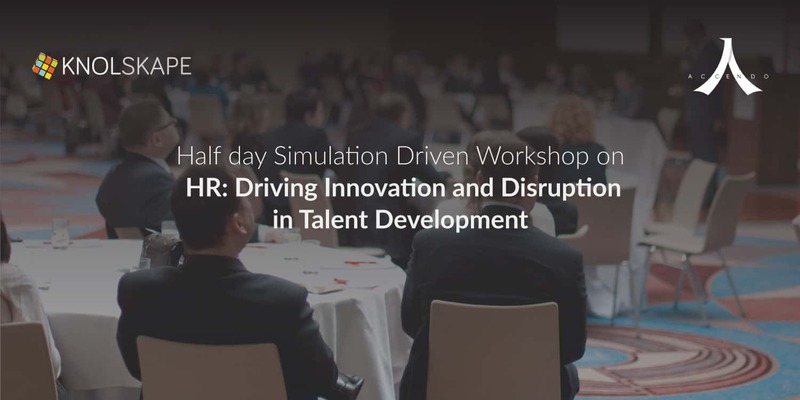 The half a day workshop will be an interactive discussion and you have the chance of experience our award-winning simulation, ChangeQuest that focus on influencing skills. You will experience this immersive learning tool first hand, getting a feel for what simulations are all about. November 8, 2018 - No Comments! What if we told you, “If you do this one very simple thing, you will be much more successful at work. You will get much bigger salary raises, you will get promoted faster, and yes, your boss will like you!” You’d probably say, “tell me all about it” of course! Prof Raj Raghunathan of the University of Texas is here to tell you that this very simple thing is as simple as it gets: it’s being happier at work. A lot of studies have shown that, the happier you are at work, the more career success you will enjoy. Happier people get higher raises, get promoted faster, and their bosses like them more. This relationship between being happy and career success has been replicated so many times and across so many different countries that it is no longer debated. In this webinar, we deep-dive into the topic of Happiness at work, and what you as a talent development professional can do to help improve it! October 11, 2018 - No Comments! With the fourth industrial revolution gaining pace, the employment market is also evolving. Organizations recognize the need to move with the times, and to up-skill their workforce in line with the emerging trends. 1) How can talent development leaders start preparing for this new reality? 2) With learner needs evolving, why is it essential to understand your audience? 3) What role do leaders and managers play in the modern workplace? 5) How can L&D create effective learning?